Alliance Aviation Services says it expects to bring an additional nine aircraft into the fleet in the year ahead amid increased activity in the resources sector and an expansion of its charter operations for tourism companies. 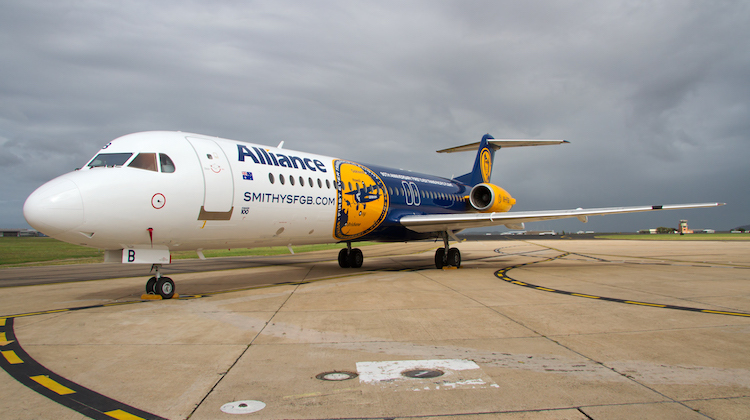 By June 30 2019, the fleet was forecast to grow 27 per cent to 42 aircraft, with four Fokker 70s and five Fokker 100s to be added in the current year, Alliance said in its 2017/18 full year results released on Thursday. “We continue to see increased activity in the resources sector with additional services for existing clients,” Alliance chief executive Lee Schofield said in a statement. The aircraft are being sourced from Alliance’s pool of 21 Fokker aircraft it purchased from Austrian Airlines in 2015. Alliance said it recently signed long-term maintenance and support agreements with KLM UK, Austrian Airlines Technik Bratislava and Rolls Royce that included “guaranteed slots for its aircraft heavy maintenance programme over the coming years” to support the fleet expansion. It has also hired more engineering and operational staff, with the number of employees rising 13.5 per cent to 512 by June 30 2018, compared with a year earlier. In recent years, Alliance has made significant strides in broadening its operations from fly-in/fly-out (FIFO) work for mining and resources clients to areas such as tourism, aircraft sales, wet and dry leasing and spare parts sales to help boost revenue. This initiative has included starting regular public transport (RPT) flights out of Brisbane which are sold as Virgin Australia codeshare services. It also began operating Newcastle-Adelaide flights on behalf of FlyPelican. Further, Alliance also has contracts with tour companies including United States tour operator Tauck and Japan travel company JTB. 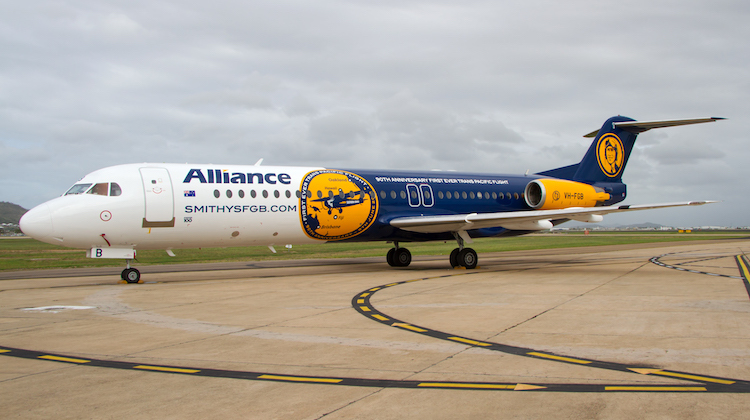 And Alliance also has a partnership with Virgin Australia to work together in the FIFO market that received Australian Competition and Consumer Commission (ACCC) approval in May 2017. The company said total flight hours totalled 34,612 for 2017/18, up 34 per cent from 25,689 in the prior corresponding period. Contracted flight hours rose 5.4 per cent to 18,828 and represented the largest source of flying work at Alliance, as flights were added to existing agreements and new clients were signed. “There continued to be incremental increases in flying for a number of contracted clients in the financial year,” Alliance said. Wet lease flight hours and RPT flight hours more than doubled in the year, while charter hours jumped 69.2 per cent. Alliance reported net profit of $18.1 million for the 12 months to June 30 2018, down two per cent from $18.5 million in the prior corresponding period. Profit before tax rose 33 per cent to $26.1 million, while revenue improved 23.4 per cent to $247.7 million, Alliance said in a regulatory filing to the Australian Securities Exchange (ASX) on Thursday. “The whole team at Alliance should be very proud of what has been achieved this year in delivering the highest levels of activity the Company has seen,” Schofield said. Alliance said the outlook for the year ahead was positive given “continued growth in revenue across all sectors and regions”. “The resources sector continues to show signs of growth with commodity prices of Alliance’s customers performing strongly,” Alliance said. Meanwhile, Alliance expected wet lease revenue to continue to grow in the year, adding there had been a “general increase in charter activity”. And its RPT operation was tipped to “remain stable”, with no increase in flight hours expected in the year. Finally, the company said its aviation services business, which covers spare parts sales, engine and component leasing and other services, was forecast to “continue to increase its revenue, profitability and cash flows”. The company declared a final dividend of 6.3 cents per share, fully franked, bringing the total dividend for 2017/18 to 8.8 cents per share. Alliance Airlines is currently operating most if not all Qantas services between Brisbane and Mount Isa with F100 equipment. Great to see an increasing number of Fokker aircraft continuing to fly in Aussie skies! The now, sadly defunct, Dutch company has been involved with aviation in this country from the early days of air transport. The legacy lives on. I cannot understand QANTAS marketing. If you put BNE – ISA in QANTAS electronic timetable you either get a flight via TSV or QANTAS does fly BNE-ISA. Why use the opposition planes. QANTASLINK appears only to use 7 out of the 8 single class B 717 and 10 out of the 12 two class B717. If 3 spares are required, why not acquire another B717. If there no B717 available, possible another F100 and transfer a B717 from Perth to Brisbane. It can be said to be as simple as crew shortages. The isa run takes up a significant part of an operational day’s frames and crews. They can fly maybe 2 or 3 shorter runs with their own crews and frames by outsourcing the longer flights (such as isa) they can make more of a yield. While having the QF banner on more of their own flights. The Company’s success is attributed to their innovation. The ability to get into aerodromes during bad weather makes them popular with both corporate clients and RPT passengers alike. Their progressive attitude towards regulatory compliance coupled with a “can do” attitude from the front line troops means Alliance rarely doesn’t get the job done. If all operators embraced “the Alliance minima”, very few flights would be diverted due weather and fewer people would be delayed. 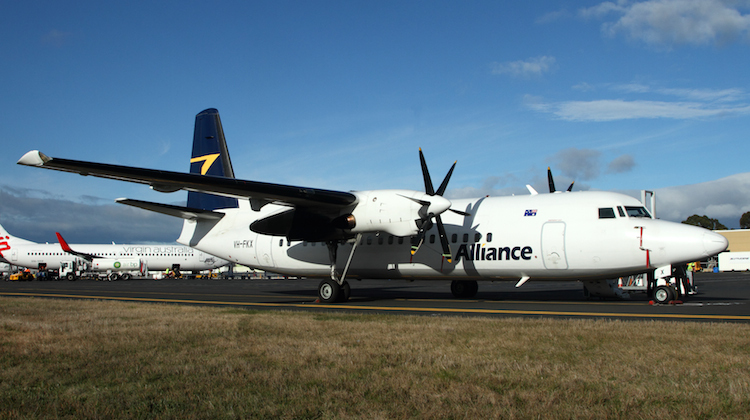 Alliance seems to be a more profitable airline than Virgin Australia ….. says a lot about JB! What a ridiculous thing to say. You are clearly not a pilot. Are you insinuating that Alliance are operating to their own minimas in order to land?? Many airlines refuse to fly a circling approach. Rendering airports with only one runway aligned instrument approach useless, when the wind is blowing the wrong way or geographical makeup has the local weather at one end below minima. While not operating to their own minima their operation allows for all aspects of the IFR to be utilised, unlike most airlines.